Swap the cold, wintry nights for sun-kissed coves and a spot of sightseeing in the sunshine with these seven Winter sun destinations. Explore the underwater worlds below in the Maldives, capture breathtaking viewpoints in Southeast Asia and discover a rich cultural heritage in Malta. 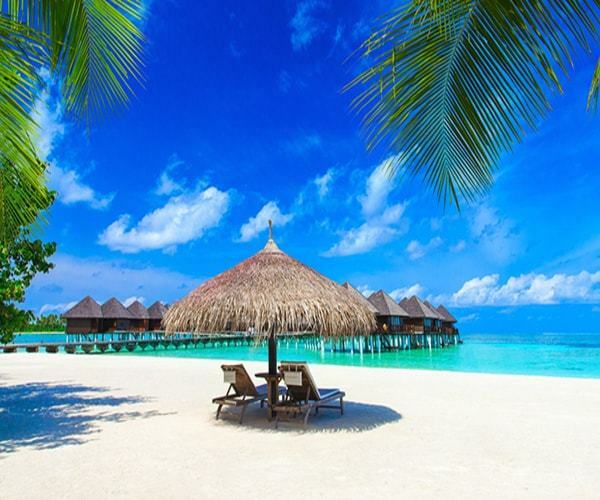 Picture a coastal paradise of turquoise water and deserted pristine beaches against a tropical backdrop and you have the Maldives. November through February is the ideal time to visit with sunshine in abundance and a temperature to match, creating a blissful beachfront retreat. If you can peel your eyes away from the stunning beauty of these islands, dive into the depths below and sneak a peak at the the colourful marine life. Explore the capital city of Male, an incredible sight to behold in its own right, as it rises from the sea below. Or simply swing lazily in your hammock as the sun caresses your face and the waves lap gently at the shore. Spend some time Island hopping with ease around Thailand’s south islands during November to March. Begin your discovery in Phuket where the beauty of Karon beach is mixed in with the raucous nightlife of Patong. Hop over to Koh Phi Phi to experience a real life film set, where “The Beach”, starring Leonardo di Caprio was filmed back in 1999 and has since drawn up to 1,000 visitors per day to this small island. Catch the ferry over to Koh Lanta for a more relaxed atmosphere and explore the emerald cave aboard one of the numerous boat trips available. For those with time on their hands, head up to Krabi and kick back on the gorgeous Railay beach. A short flight from Europe brings you to the “Continent in Miniature”, Gran Canaria, aptly named for its rich mix of coastline, towering mountains and abundance of flora and fauna. The best time to visit is really, all year! The island benefits from a springlike annual climate, with daily temperatures averaging around 20 degrees Celsius. Catch a camel ride around the Maspalomas sand dunes, explore the capital city Las Palmas in the north and relax upon the stunning beaches of the south coast, including Amadores and Anfi del Mar. The Sunshine State of Florida boats a warm annual climate, enjoying around 230 days of sunshine each year. For the best chance of sunny, clear skies visit during November to February for temperatures in the high teens to low 20s (degrees Celsius). Famed for its theme parks and attractions, Florida also benefits from stunning stretches of coastline and the Everglades National Park. Scream through the air aboard an exhilarating roller coaster, meet your favourite heroes in the world famous parks before sampling cuisine from around the globe at the countless restaurants. 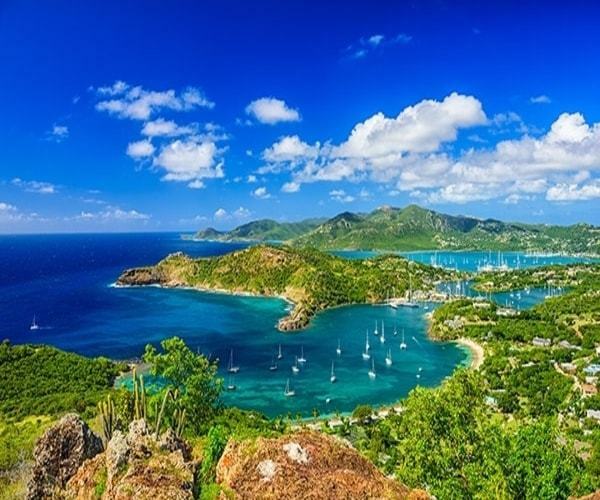 Time to kick back and relax, Caribbean style, with a trip to the beautiful island of Antigua. Set against a backdrop of colourful coral reefs, this island plays host to simply breathtaking secluded bays and beaches. The tropical climate of Antigua means warm sunshine shimmers over the island throughout the European winter, with December notably enjoying temperatures averaging 25 degrees C.
Explore this beautiful island from the abundance of fruit growing in the farmland groves to the lush rainforests that inhabit the interior. Step back in time with a stroll around English Harbour, stopping by the Fort Berkeley dating back to the 18th century and Nelson’s Dockyard. Goa in the West of India is lapped by the Arabian Sea and is lined by some simply breathtaking coastlines. Blending Indian and Portuguese cultures has created a wonderful location to escape the cold, wintry nights of Europe with temperatures rarely dropping below 20 degrees Celsius. While away the days upon the Benaulim Beach as the coconut trees sway lazily in the breeze before wandering the lively town of Baga with its energetic nightlife and markets to match. For a spot of culture head to Old Goa to admire the centuries old architecture and religious monuments. Occupying an envious location in the heart of the Mediterranean, Malta is perfectly positioned for a short winter break from Northern Europe. Temperatures settle around the low teens (degrees C) which is perfect for exploring the fascinating sights that Malta has to offer. 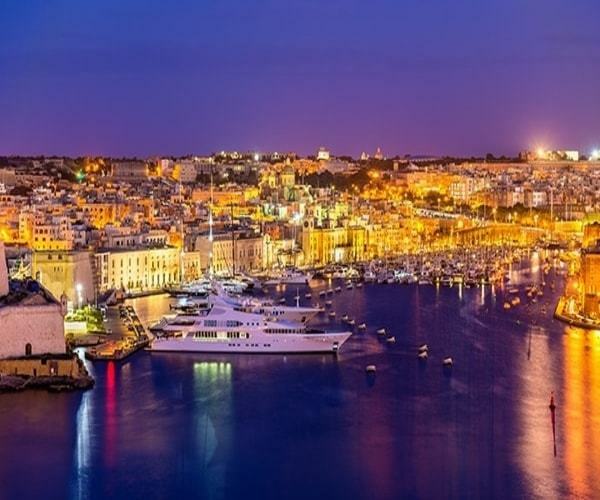 Kick start your discovery in Valletta, breathing in the culture of this UNESCO World Hertiage City dating back to the 16th Century or head further back in time at the Hagar Qim temple, thought to have been created in 3,600 B.C. If you prefer a more relaxed break then sample some of Malta’s fine beaches, notably in the north at Mellieha Bay or on the neighbouring islands of Gozo and Comino.